It's time for April's memories to be remembered via Instagram. 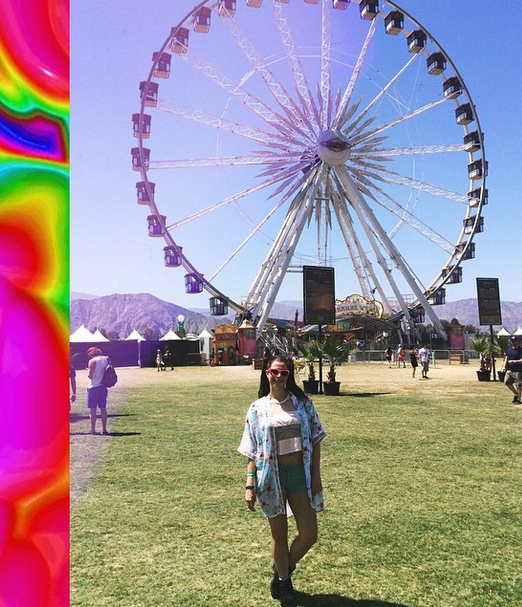 I have to be honest & admit that most of April -- Instagram included -- revolved around the Coachella experience. I still have a couple posts to write about it. See? 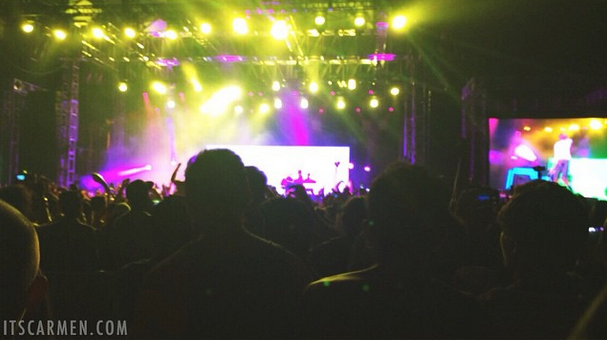 April was mainly about the Coachella Valley Music & Arts Festival. Hey, why not follow me on Instagram?! Watching Stromae perform at Coachella. One of my FAVORITE acts from the weekend. 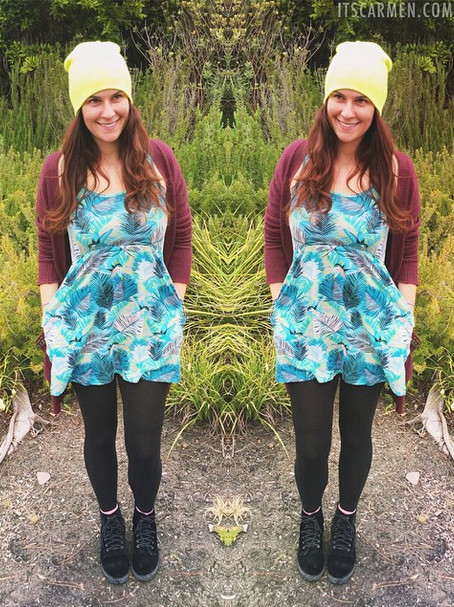 So I suppose April was not 100% Coachella related, but that's mostly what I thought about. My boyfriend & I had severe withdrawals. I guess the only solace is that pre-sale tickets come on sale in a matter of weeks. Yep, that fast. Then you get to countdown until the next Coachella. 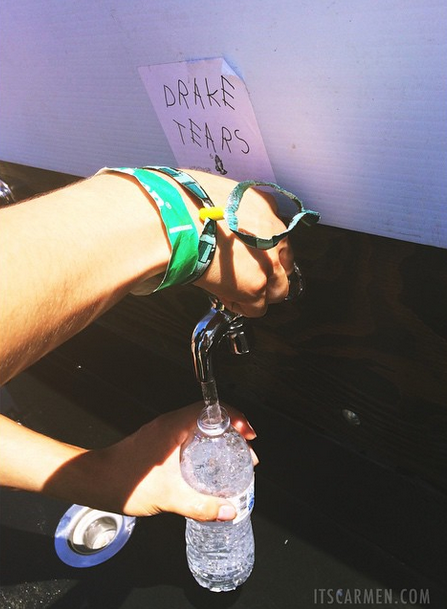 Hahahah that "Drake's Tears" drinking fountain is KILLING ME! I love it! 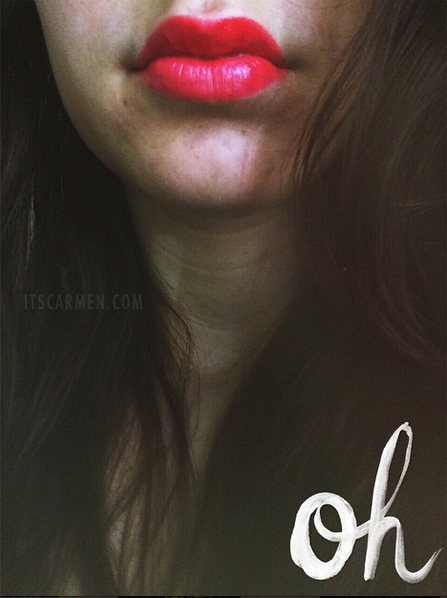 I love the lipgloss shade from OCC on you, looks really pretty! 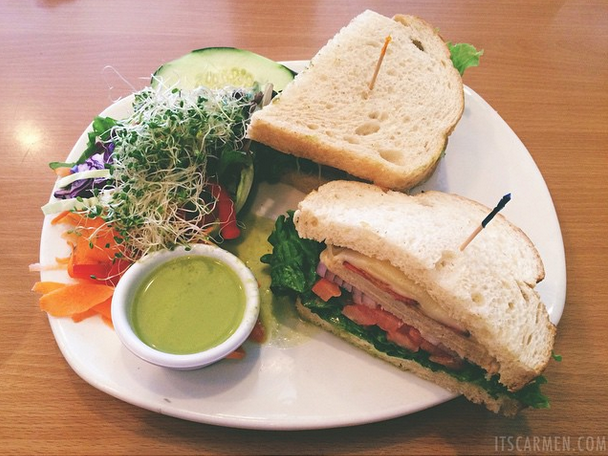 And wow, that sandwich looks so darn good! I wish it was always summer where I live as well, haha! Love all your photos!! So lovely. I am insanely jealous of Coachella! Great recap for April. Love the sandwich pictures ;D.
I was laughing so hard when I saw the picture that said "Drake Tears". LOL. Too funny! So jealous you went to Coachella that must have been amazing!! looks like such a fun april! and that sandwich looks yum!! Coachella is a dream of mine and you reminded me to get some cute bikinis for summer. 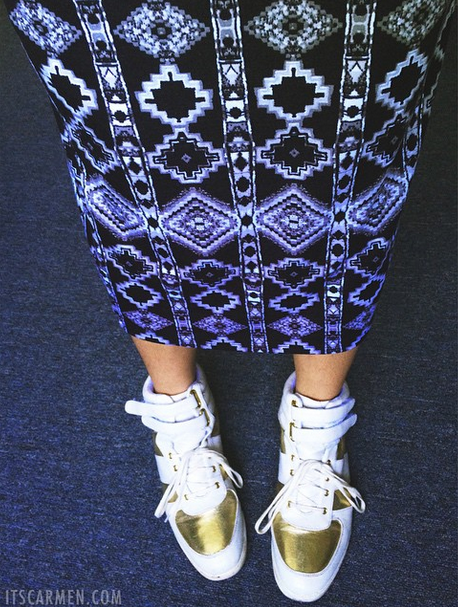 Those white and gold sneakers with the skirt are really cool! Love that look! 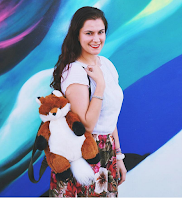 I love this post - your life atm seems to be packed full of fun and adventure.